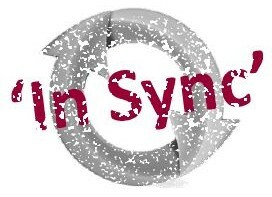 What is ‘In Sync’ Bible reading? ‘In Sync’ is a chance for many of us to read the same Bible book through a month together. Begin Bible reading if we haven’t before. Encourage each other with our different understanding and focus. Read with others such as family or friends. Spur one another on with good reading habits. Discuss a whole Bible book when we often focus on detail in our times of study together. Reading the Bible does not have to be an intellectual study. Anyone can read the Bible and by God’s grace understand it. The main thing is that we pray for God’s help as we read. 1. What have I learnt about Jesus? 2. What does this teach me about humanity and myself? 3. What has most encouraged me from this book?